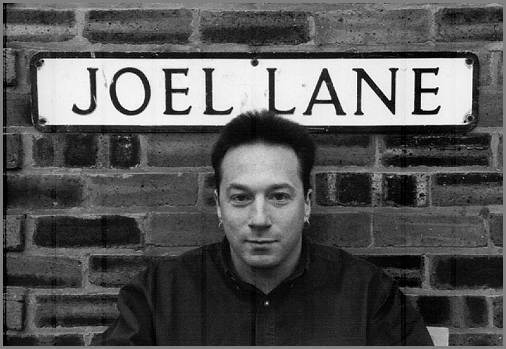 This Joel Lane story was suggested for the Archive by Peter Coleborn of Alchemy Press. The story was originally published in the anthology Swords Against The Millennium edited by Mike Chinn and jointly published by Saladoth and Alchemy Press. In the author notes Joel mentions being inspired by the writings of Clark Ashton Smith and the music of Robert Smith (The Cure). To this, I would add that there’s also a touch of Jack Vance (The Dying Earth) in this dark recasting of Chaucer’s ‘The Pardoner’s Tale’. Joel is forever associated with the West Midlands so we’re glad to include this piece set in “Zothique, the last of Earth’s continents”. Although, hang on… “Acoxgrun” – hasn’t that got a Birmingham postcode? Joel Lane presently lives in Birmingham. In 1994 Egerton Press published a collection of his short stories, The Earth Wire; and his first novel, From Blue to Black, has just been published by Serpent’s Tail. The Hunger of the Leaves was inspired, in equal measure, by Clark Ashton Smith (whose Zothique cycle of stories originally appeared in Weird Tales in the 1930s) and Robert Smith. The forest realm of Yhadli occupied many miles of unpopulated terrain within the central lowlands of Zothique, the last of Earth’s continents. It was rumoured to include the barren remains of towns and garrisons, abbeys and cemeteries, which the forest had reclaimed. None knew its full extent, since there were no longer any maps. No man living had seen its infamous ruler, the aged sorcerer Niil; if he still lived, he and his subjects had no need of the outside world. Like Zothique itself, the forest realm lived in a silence bound by the shadows of the past. The three men passing from the twilit fields to the deeper gloom of the forest canopy were possessed of no desire to escape into a bygone time. Nor had they rejected such convivial pleasures as the violent towns of Ultarn and Acoxgrun had to offer to embrace the austere life of a hermit. Passing through these towns, they had heard tales of the great wealth of the sorcerer Niil: a wealth that must have been hoarded, since it had never been spent. It was a permanent harvest, with gold for wheat and jewels for berries. That harvest had been gathered through deeds of blood and terror that were already the stuff of grim legend. They intended to reap some portion of it through kidnap, robbery or simple theft. All three were experienced villains, with an acquired lack of scruples and imagination. Their evil repute in the regions of Tasuun and Xylac had forced them to come to a place where they were unknown – and thus, one which was unknown to them. The forest was as quiet and still as a vast underground vault. In places, the faint red light of the Earth’s dying sun played on complex traceries of black twigs, jagged leaves and bark mottled with pale lichen and mould. Cobwebs hung everywhere, fine and translucent like shrouds; but no spiders could be seen. Nor could any bird or beast be discerned in the tangled branches or the shadowy, yielding undergrowth. The dead leaves beneath the robbers’ feet were of an unfamiliar kind: clawlike, with three hooked points and hard, reddish veins. As the thieves continued, the shadows thickened; soft tatters of cobweb clung unpleasantly to their sleeves. Soon they were forced to light torches in order to see where they were going. The paths were twisted, overgrown and impossible to follow. The torchlight distorted the shapes of the overhanging branches, made them resemble the faces of starving creatures or the intertwined bodies of human lovers in the grip of desire. After nightfall, they took their direction from the northern star (which an ancient myth told them was a world much like their own). The nocturnal life of the forest seemed oddly subdued. No owl cried in the darkness; no bat swooped overhead. Even the lonely baying of wild hounds, thin demons that preyed on their former masters, was absent. The only sound was a faint, dry rustling, like the sand on a desert shore, only just distinguishable from silence. At length, they came upon a small clearing where they might pause for the night. Jharscain and Dimela cut some twigs and branches; while Medarch prepared a small fire. By its light, they saw that another traveller had reached this place. Hanging from the twisted branches of a squat black tree was the wide, hooded robe of a monk. It was full of dead leaves, from which the pale glimmer of bones indicated the presence of a long-decayed cadaver. No rope held the skeleton in place, and the cause of death was not evident. His skull was packed with leaves, like the black thoughts of a madman; leaves clung to his ribs and pelvis, and to the inner surface of his ample robe. Beneath the dangling bones of his feet lay the dull shards of a broken wine flagon. They slept that night the deep sleep of drunkards, each man soaked the light of his own visions. Jharscain dreamed of finding the house of the sorcerer Niil untenanted, and of gaining access to the treasures of his wine-cellar: wines so rich and fragrant, spirits so fiery and evocative, that they would shame even the abbeys of Puthuum. The dreaming soul of Dimela visited not the cellars of Niil, but his comfortable bedchamber, where it was entertained by the seven young women of the sorcerer’s harem on sheets of the finest black silk. The dreams of Medarch had less of actual theft about them: he saw himself beside the ageing sorcerer as a valued servant, entrusted with the patient torture and execution of his master’s enemies. And among those dying in blind, limbless, voiceless ruin were Dimela and Jharscain, wearing bright skins of blood. In the morning, all three men had the furtive and bloodshot eyes of villains who had not slept well. Under the vacant gaze of the monk, they partook of a hasty breakfast and continued on their way. The ebon trees and their harvest of pale cobwebs showed no sign of thinning out; every step of the way had to be forced through damp undergrowth and drifts of leaves as brittle as fired clay. Repeatedly they passed the hanging skeletons or withered corpses of men in the trees, their loose clothing snagged on branches, dead leaves clamped to their skulls like sleeping bats; and this convinced them that the house of the sorcerer Niil could not be far away. It was a day of twilight, fatigue and silent horror. The three men forged onward, certain that the house of Niil must be surrounded by widespread farming and habitation. However, they found no occupied houses, fields or gardens. The black trees and their spectral veils of cobweb held dominion over all. Yet this region had once been tenanted. Crumbling walls and broken flagstones could be glimpsed through the undergrowth. And everywhere, human skulls stared whitely from hoods of dead leaves. A house stood with its roof and front wall in ruins, three skeletons sitting at a table covered with the smaller bones of rats. A temple of carven stone lay in fragments, the skeleton of a small child on a rust-stained altar bearing witness to the sacred rituals of the priests of Thasaidon. Among the surface roots of a great tree, two almost fleshless cadavers lay in a permanent embrace that was no longer restrained by the boundaries of skin; a fine layer of cobweb surrounded them, like the sheet of a marriage bed. Most strange of all was a great well, ringed with black stone and deeper than Medarch could discern, yet full almost to the brim with clean-picked human bones. This domain, Medarch realised, was more than abandoned: it was the scene of some terrible annihilation, and had been preserved as a bleak reliquary of the human race. The hideous soul of a mad poet had created this roofless vault as a symbol of the Earth and its place in a blind cosmos. What the people of Zothique knew in their fearful hearts was here proven. Medarch thought this and smiled within himself, but said nothing. For his soul was deeper than those of his companions. He was a murderer, where they were merely thieves. His parents had lived and died on the accursed isle of Uccastrog; and he had been delivered from his mother’s womb by the jaws of a hound. When the haze of reddish light beyond the trees tuned to illimitable blackness, clouds obscuring even the brightest stars, the three men stopped to light a fire and rest once more. They ate little, unsure of their destination; but drank deep of the spirit of grain, since a certain unease had come upon them. Jharscain, who was the most afraid, drank most deeply. They spoke little, but stared thoughtfully into the heart of the fire, where the twigs and branches were charred to a bonelike white. At length, they stamped out the fire and gave themselves up to sleep. Jharscain slept poorly, troubled by a thirst that his previous intake had served only to intensify. The darkness itched at his eyes like a coarse fabric. Silently, he reached for the bag containing the vessel of grain liquor; with infinite care, he tilted it above his gaping mouth. Only a few precious mouthfuls remained. He fancied he could see the creeping denizens of the cobwebs, spinning fine threads to reach him; when he shut his eyes, he saw them still. A death-mask of perspiration covered his face. Then he heard a voice close by: ‘Wilt thou not drink with us?’ When he opened his eyes, he saw lights flickering just beyond the nearest trees. As he staggered through the undergrowth toward the blurred lights, Jharscain heard the faint sounds of some terrific revel; wine was poured and gulped, voices were raised in drunken litany to Thasaidon. The very air seemed hazy with the fumes of wine. Around him, pale hands raised drinking-vessels and tipped them into faces of mist. The leaves shifted underfoot, and he fell to his knees. Dead leaves rose and drifted around him, their veins swollen with sweet-scented wine. But when a leaf touched his face, its thin flesh was dry as the driest paper. It stuck to his lips; as he raised a hand to pull it away, more leaves settled on his face. Where they touched him, his skin dried out; it shrivelled and broke, as if burned by the cold flame of sobriety. However much blood the leaves took from him, they remained as dry as bones in the desert. Tearing at his clothes, Dimela stumbled towards the blood-red fire. Though it appeared close, his steps brought it no closer. Eventually he stopped, confused; and a cloud of dead leaves rose gently around him, evading his outstretched arms to drift like patches of lonely skin upon his body. So overwhelming were his sensations that the loss of blood went unnoticed. The leaves that floated before Dimela’s fading gaze bore the reddened imprint of faces transfigured by the secret fire of ecstasy. As his flesh joined with theirs, the night exposed the keen nakedness of bone. And so it began over again. Medarch slept like a child until Dawn, twining about his thin fingers a cloth formerly used for strangling. The rumour of light that was sunrise in Zothique roused him and told him he was alone. His first thought was that the other two villains had abandoned him to continue their search for the house of Niil together. Then he saw that their shoulder-bags remained. Had they been taken by some wild beast of the nighted forest? But there was no sign of struggle, no blood on the dead leaves. Besides, what animal life had they seen in this crypt of shadows? Then a faint sound, as of choking breath or waterlogged footfalls, came from beyond the trees on the other side of the dead fire. Medarch gripped his dagger and crossed the ashes. Some cobwebs, he saw, had been torn aside; he stepped through the gap. The body of Jharscain lay in a drift of leaves that half-covered him. The skin of his face was stretched like parchment over his skull, and was so dry that the corners of his mouth had torn into a hideous thin grimace. As Medarch watched, the cadaver’s sere hands twitched mindlessly; and from the stretched parody of a mouth, a pale tongue emerged to lick the cracked and bloodless lips. A dead leaf moved on his throat with a horrible purpose, cutting into skin that was already as ravaged as that of a desiccated corpse in the deep catacombs of Naat. Despite his long and pleasurable experience of horror, Medarch felt a shiver pass through him. Raising his eyes, he saw a red blur through the veil of cobweb that linked two branches: a brighter red than that of the crepuscular daylight. The body in the next glade was not recognisable as that of Dimela. It was a scattering crimson ruin, flayed and dismembered, at its centre a mound of leaves the size of a human head. A few items of clothing lay torn on the ground. Hands, eyes, lungs, bones and patches of skin crawled among the black leaves, somehow unable to die. They shuddered as if still infused by a common pulse. The three-pointed leaves clung to them in a terrible embrace, a slow dance that was truly the pleasure of the flesh. The odour of blood and decay was like a cloud in the chill air. Medarch was no innocent; but he was human, and this was an alien horror beyond his comprehension. Madness laughed and danced within his brain as he rushed on through the twilit forest, crashing through drifts of leaves and shrouds of tenantless cobweb, blind instinct driving him first in one direction and then in another. He no longer remembered what it was that he was searching for. After hours of insane stumbling and circling, he came upon a part of the forest realm where the trees were bare and brittle like stone. The hanging cobwebs were corpse-grey, stained with the imprints of tormented faces. It was so cold here that Medarch’s ragged breath formed tissue in the air. Memories floated before his eyes, random and meaningless: the dead and dying victims of his career. He had known many trades: mercenary in Tasuun, torturer in Naat, executioner in Cincor, jailer in Xylac. Among the scattered and frightened peoples of Zothique, warfare was vicious and perpetual. Crime and punishment were lucrative parallel trades, and the fate of prisoners was rarely a matter of public concern. It was not distressing for Medarch to recall the men, women and children he had mutilated; indeed, he kept a trunk full of dried souvenirs to help him remember his most cherished atrocities. Many times, when unable to torture within the law, he had found other means to procure young victims; and his knowledge of the ways of villains had opened many a secret and nighted door to him. Yet, alone in the bleak forest realm of Yhadli, his sense of status deserted him; he could scarcely remember his own name. The ruined faces of his victims swam in a grey mist before him: nameless, voiceless, eyeless, hopeless. Their silence felt like mockery. Eventually, sheer exhaustion brought the torturer to a standstill. His body was gashed and bruised from a thousand small injuries, and he had with him neither food nor water. The stark trees about him felt as cold as stone. The ground beneath his feet was slimy with leaf-mould and buried decay. Before him stood another ruined house, one different from the others they had passed: this one was made of wood, and had no windows. The black, dead twigs of the surrounding trees were woven into its dense roof. The walls were coated with layers of cobweb that glistened, rotting from within. He could discern no door in this unearthed tomb, until it opened. The figure in the lightless doorway was like a monk, though thinner than any monk that Medarch had ever seen. He was clad in a black gown that clung to his bony frame. His hooded face was a shadow without features or skin; it was broken by countless fine cracks and wrinkles. It was a visage of dead leaves. Within it, two crimson eyes glowed with the cold distant fire of alien suns. Medarch felt those frozen eyes stare through him, dismissing him as if he were a ghost. A misshapen hand with three hooked fingers reached up to the door. And then the creature had gone, back into the darkness of its sealed house. At once, Medarch knew that he had found the house of the sorcerer Niil, and that his offer of service had been rejected as of no value. A terrible breath of loneliness passed through him. At last, he understood why only the dead leaves were hungry. If Niil had ever been human, he was so no more. He was one with his realm of stillness and decay. For a long time, the man who had dedicated his life to pain stood before the windowless abode of the creature for whom pain had no meaning. Then, as the weak sun bled into the western sky, Medarch set his face toward the distant towns of Ultarn and Acoxgrun. No longer running, but with steady and relentless steps, he made his way back to the abodes of men. The marks cut on his face by leaves and twigs bled freely, and decaying cobwebs tangled in his hair. It no longer mattered. Half-naked, filthy, bloody and red-eyed, Medarch strode forward to his destiny: to be the silent emissary of Niil throughout the continent of Zothique, and any other lands that might remain, until the legions of the dead lay scattered on the dying Earth like the fallen leaves of a splendid and fertile autumn.